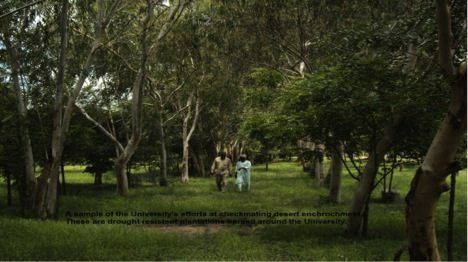 Environmental Sanitation: Bayero University, Kano runs its activities close to neighboring communities. The University organizes and cleans its environment and passes the message to the communities to do same. Also, culverts, roads, drainages, etc are constructed to the benefit of the communities. 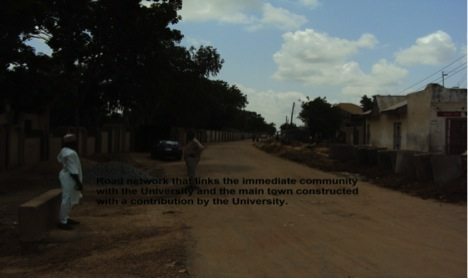 Youth Empowerment: Bayero University, Kano is located in a large urban centre that is faced with unemployment and urban poverty. Thus, some parents are unable to finance the education of their children. Bayero University, Kano comes in with scholarships to empower the youth. Some of the youth in the immediate community are employed by Bayero University, Kano. Women Empowerment: Bayero University, Kano supports women pursuing higher degrees. This is to make them more competitive at the workplace. Leadership Training: In order to develop the skills of students, Bayero University, Kano encourages the assumption of leadership roles. For example, lawyers organize Moot Courts, Political Scientists organize WTO, OAU/AU Summits, etc. Fight Against Child Abuse: In urban Kano, many forms of child abuse are reported. These include domestic labour, child begging, child hawking, etc. Often, it is these neglected children that are used as vandals in moments of crises. Bayero University, Kano conducts research on these issues and forwards recommendations to policy makes for implementation.